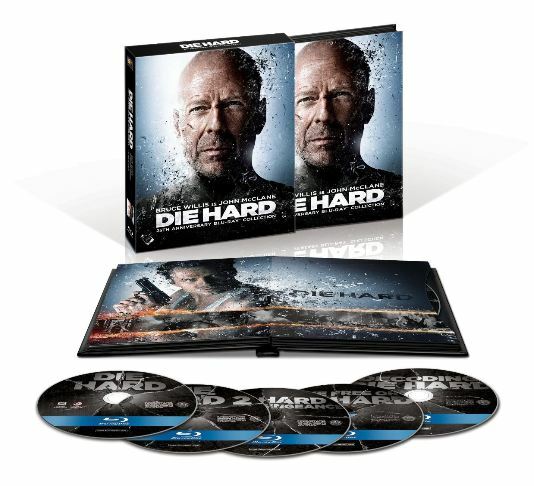 As part of today’s Amazon Gold Box Deal of the Day, you can get Die Hard: 25th Anniversary Collection on Blu-ray shipped to you for only $25 (regularly $59.99)! This is a 5 disc set, so that works out to $5 per movie! Considering that these are Blu-rays, that is a pretty awesome price. This sale is good for today only and is while supplies last, so don’t wait if you have a Die Hard fan in the house.